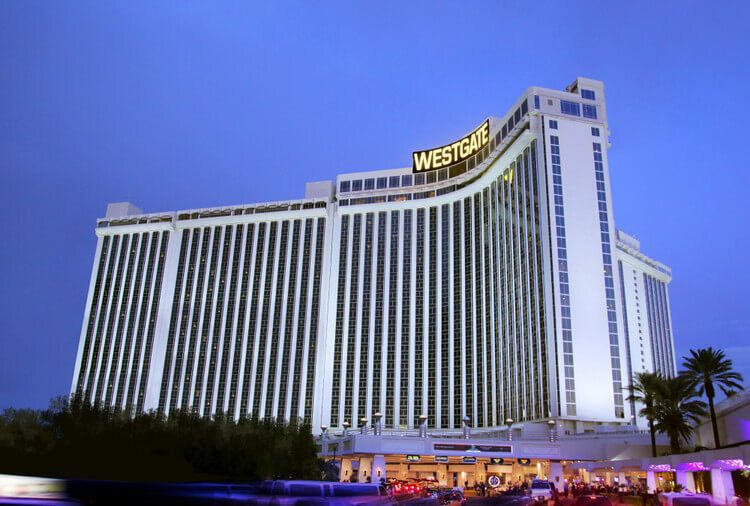 Westgate Las Vegas Resort & Casino (formerly the LVH - Las Vegas Hotel & Casino) is celebrated for its expansive variety of suites, abundant onsite amenities, superb customer service and prime location adjacent to the Las Vegas Convention Center. Head southeast on Kitty Hawk Way. Take a slight left onto Wayne Newton Boulevard. Continue straight on Swenson Street. Turn left at East Harmon Avenue. Turn right at Paradise Road and end at 3000 Paradise Road. Silk Road Asian Bistro, Bar Sake & Robata Grill, Sid's Cafe, The Buffet at Westgate, Drafts Sports Bar & Grill Express, Cardovano Joe's Authentic New York Style Pizza, Rikki Tiki Sushi, the International Bar. 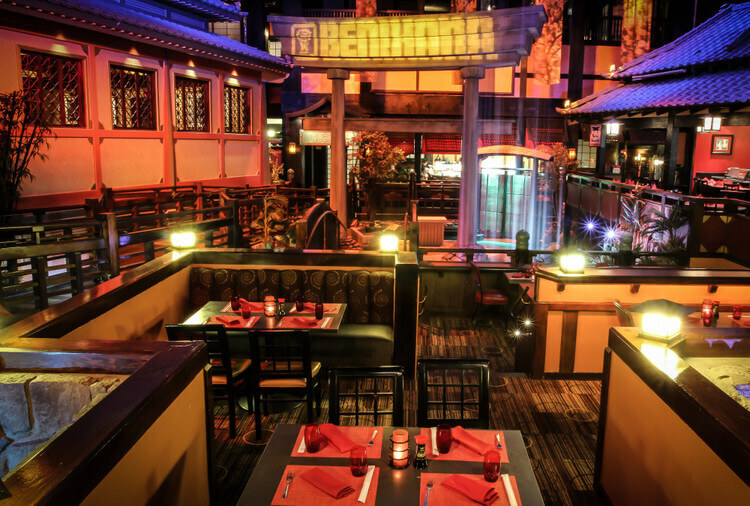 The world-famous Benihana, located inside Westgate Las Vegas Resort & Casino, offers one of the most exciting choices for a fine dining experience in Las Vegas! At Benihana, guests enjoy delicious Japanese menu options prepared exhibition-style by masterful chefs on Teppan grills. Exceptional choices include fresh sushi appetizers and entrées that feature free range chicken, New York strip steak, filet mignon and fresh lobster tail. 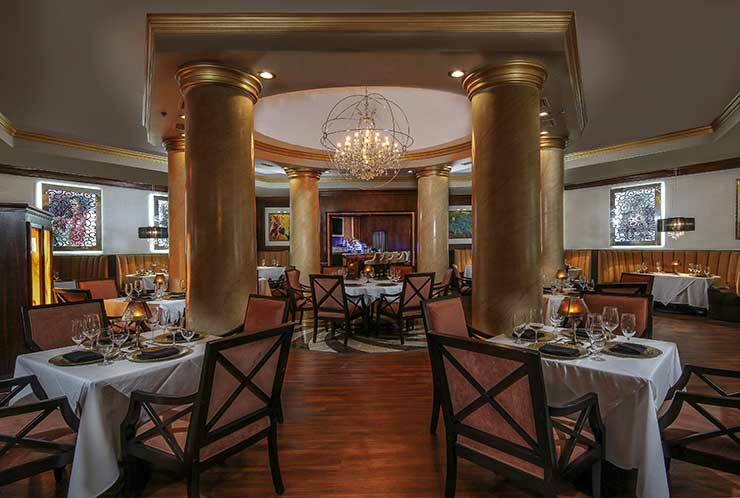 Edge Steakhouse takes you to the cutting edge of perfection. Enjoy an extensive menu that blends traditional American steakhouse favorites with an exciting array of specialty appetizers, creative entrees and innovative side dishes. The menu features with top quality Aged Prime Steaks, Snake River Farm Wagyu Beef, fresh fish and seafood, and it includes more than a dozen other mouth-watering specialties. Guests can also indulge in a variety of unique tableside dining experiences, including a fresh seafood tower, a tableside prepared Caesar Salad and a delicious array of micro-desserts. 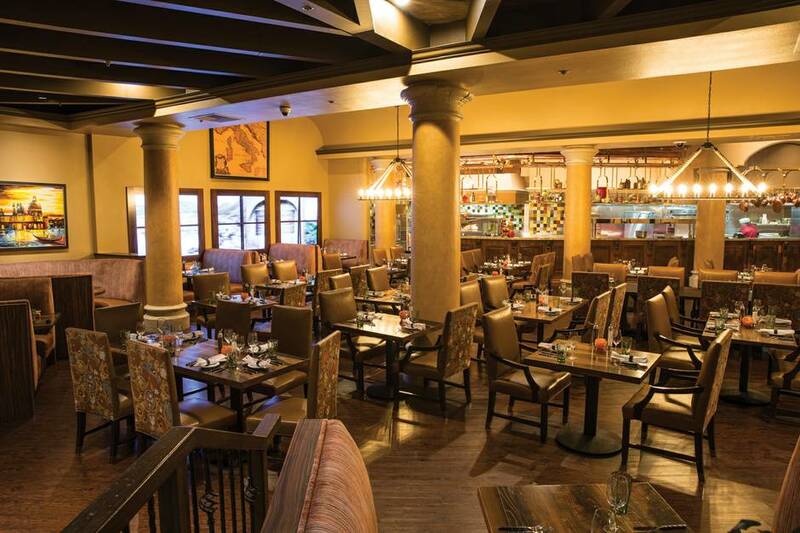 Fresco Italiano is Las Vegas' newest casual Italian dining experience, serving Trattoria style Italian cuisine that is imaginative, approachable, and affordable with an emphasis on freshness and simplicity. Start you journey with selections of hot and cold Antipasto served table side from our "dim sum" inspired rolling carts. Choose hand crafted flat breads fresh from our stone fired pizza oven and produced with imported Italian flour and our family secret recipes. Create your own pasta dishes by matching your favorite pasta with one of our freshly made sauces. Experience the glamour of Las Vegas in the newly renovated, exquisitely adorned Signature Room at the luxurious Westgate Las Vegas Resort & Casino. Nestled in a convenient central location within the resort, each of the well-appointed, inviting Signature Rooms offers first-class amenities in a Vegas-chic, dazzling Hollywood-inspired setting. The modern décor and spaciousness of the Premium Room at Westgate Las Vegas Resort & Casino offers all the comforts of home with 400 square feet of space and room for up to four guests. Unique among Las Vegas resort hotels, the Signature Concierge Level provides an upgraded stay with beautiful views of the Las Vegas Valley, luxurious bedding, plush robes, and access to the all-new Concierge Lounge on the hotel's first floor. The Concierge Lounge offers a full hot breakfast, snacks throughout the day, nightly cocktails with hot hors d'oeuvres, computers, printers, and an assortment of newspapers and magazines. The world-class Serenity Spa brings the natural, rustic atmosphere of the Rocky Mountains to the Nevada desert for the ultimate experience in relaxation and rejuvenation.